Another occasion for congratulations! The buchele cc team is proud of the best performance of the year by Lydia Kraske. Congratulations! 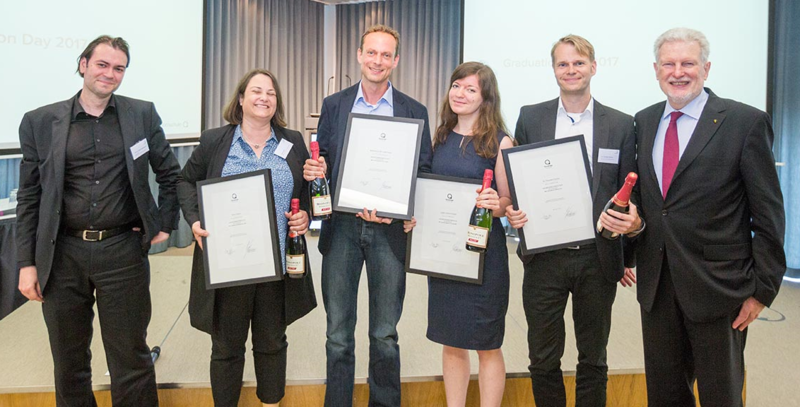 Lydia Kraske was the best student in the MA in Communication & Leadership program at the Quadriga University of Applied Sciences Berlin. She finished the 18-month part-time program at the Quadriga University of Applied Sciences Berlin while continuing to work at buchele cc. Lydia’s degree was awarded with the Student of the Year Award for the best performance in the MA in Communication & Leadership program. buchele cc supported her from the beginning. The entire team is thrilled about this achievement! The MA in Communication & Leadership is a degree focusing on communication and the social sciences, supplemented by central elements from the economic sciences. Its main focus is to convey tried-and-tested, fundamentally relevant specialized knowledge on communication processes and their peculiarities. Feel free to come visit us!